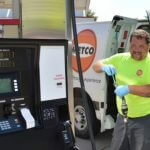 A technician performs installation, on-site repair, and inspection of equipment at retail gas stations and commercial fueling facilities. Similar position profiles would include Electronics Service Technician, Maintenance Service Technician, Computer Service Technician, or Network Technician. METCO provides all training. Apply customer satisfaction and field service techniques. Apply troubleshooting and problem solving skills. Integrate basic mechanical, electrical, and hydraulic systems. 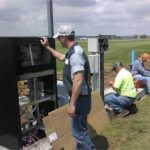 Install and troubleshoot basic electrical and hydraulic circuits. Maintain, diagnose, and repair basic computer controlled systems. Apply PC system installation, peripheral communication, configuration, and diagnosis. 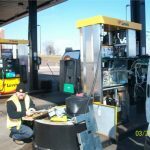 Install and start up point of sale systems, dispensers, tank monitors, and other equipment. Provide on-site repair of broken equipment. Perform quality control tests on repaired equipment, as needed. Perform compliance inspections and testing of storage tank and fuel dispensing systems. Perform general service calls such as changing filters, pumping water from tanks and sumps, changing hoses/nozzles, etc. Work safely in accordance with OSHA Standards. Work outdoors in extreme weather conditions. Maintain industry/manufacturer certifications. We provide all training. Start times will vary, but is typically 8:00. End time is upon job completion. Requires availability to rotate on call for after hour services. Overnight stays will be required at times. Reports to various locations. Technicians typically get dispatched from their home.